Hamilton Clyde Smyth, Ed.D. (Sept. 27, 1931 - Jan. 22, 2012). Resident of Happy Valley/Newhall. Santa Clarita City Council member, 1994-1998. Mayor in 1997. 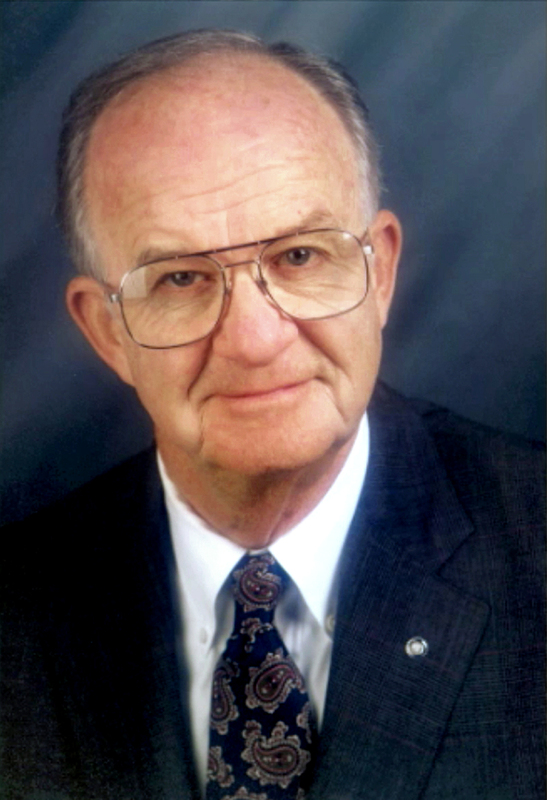 In April of 1994, Hamilton Smyth was elected to the Santa Clarita City Council, and served as Mayor in 1997. Smyth worked in Public Education for 35 years, and served the students of the Santa Clarita Valley for 23 of those years. Smyth retired in 1992 as the Superintendent of the William S. Hart Union High School District, having been in that position for more than 16 years. Chairman of the Santa Clarita Valley Boys and Girls Club Board of Directors for 8 years, 1987-1995. Henry Mayo Newhall Memorial Board, 1979-1986. Santa Clarita Valley Health Care Association Board, 1986-1992. District Chairman of the Boy Scouts, 1980. President of the Newhall Rotary, 1975. His community service was instructional in earning him the distinction of being chosen as the 1993 Santa Clarita Valley Chamber of Commerce "Man of the Year." Earned a Bachelor of Arts degree in Education and Economics from the University of California, Santa Barbara in 1951. Earned a Masters degree in Special Education from California State University, Los Angeles in 1958. Earned his Doctorate in Education / Management from Brigham Young University in 1975. Hamilton Smyth is married to Sue, a teacher in the Newhall School District, and they have two sons. CS9601: 19200 dpi jpeg; photo ~1996 by Gary Choppe for City of Santa Clarita.